For up to 15 games every winter, you can live your dream. While living your dream you can get a professional contract out of it as well. For a few years now I have been keeping up with the AWL and it continues to fascinate me. The league is ripe with players who have tremendous passion for the game and just need that extra opportunity to take their skills to the next level. Currently World Series champion, Sergio Romo and ex-Toronto Blue Jay, Scott Richmond continue to be the only two to make it to the big leagues. Since its inception in 2007, over 220 players have leveraged the league to sign professional contracts including 15 with MLB clubs (see below). At the conclusion of the 2018 season, three elevated their game to new heights earning year end awards. 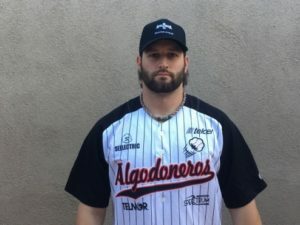 23 year old Jay Carp was named the 2018 Arizona Winter League Defensive Player of the Year. Returning for a second season, Carp played in all 15 games for the Edmonton Capitals. He hit .311, drove in 15 while adding two doubles and two triples to his stat line. 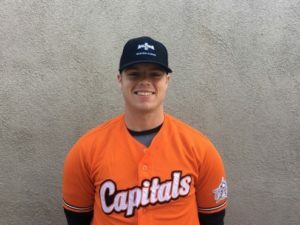 Carp spent some time with the York Revolution of the Atlantic League in 2017 and all signs point to him returning in 2018. Pitcher of the Year goes to former New York Mets draft pick, Rich Ruff. Originally drafted by the Mets in the 46th round of the 2011 MLB June Amateur Draft, Ruff has parts of five professional seasons under his belt. 27 is by no means old for the game and his stats prove he’s got a lot left in the tank. In 20 innings, he posted a .88 ERA, struck out 29. He gave away only five free passes. 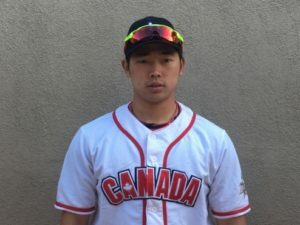 Your 2018 AWL MVP is Team Canada’s Ichiro Usui. In the offseason, Usui plays for the three-time Baseball Challenge League champion, Gunma Diamond Pegasus. That may change after this year. He hit .500 (19 for 38) and struck out two times…yup, two times.